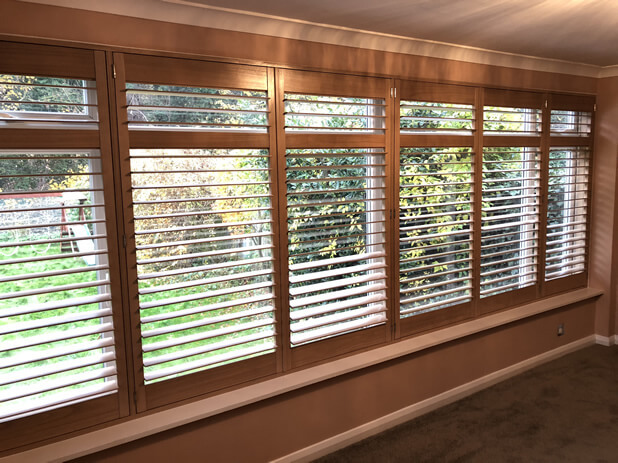 Luke and Roy were in Knockholt, a village located in Sevenoaks to fit these lovely natural feel shutters to multiple windows and door of a garden room. 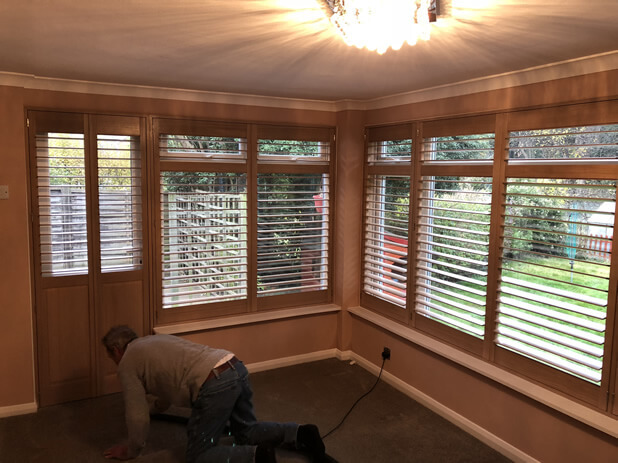 Demonstrating the versatility of our shutters, not only in a slightly different location to the norm, but also installed not just to windows, but also a door opening. 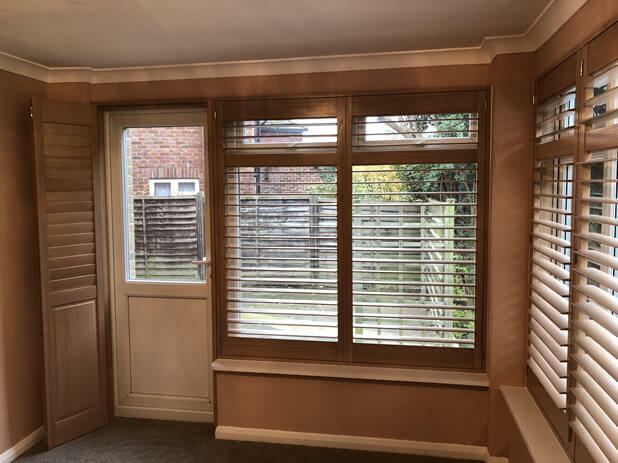 When designing shutters we need to not only create a millimetre perfect fit around the window openings, but also create the lines of the shutters to sit exactly level with the lines of the existing windows. Just one of the many reasons why our bespoke design service carried out by our experts ultimately results in the perfect fit every time. You can even see how perfectly the door shutters match the style of the door when open! Full access was required to both the windows and doors, so the design needed to allow for all shutter panels to neatly fold out the way, as well as easily adjustable when closed. 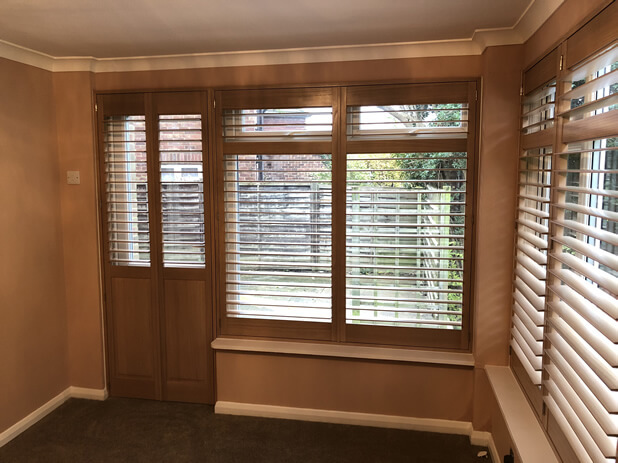 The shutters were created using our Fiji Hardwood and finished in a lovely Taupe stain, which shows the natural woodgrain and can make a nice change from solid painted shutters. 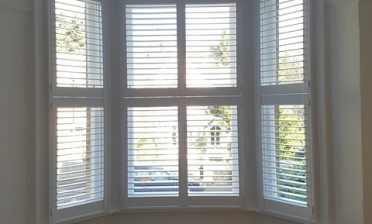 All window shutters were created in a full height style with mid rail perfectly in level with the top rail of the windows. Great for adjustment and also allowing air flow in through the tops where the windows open. 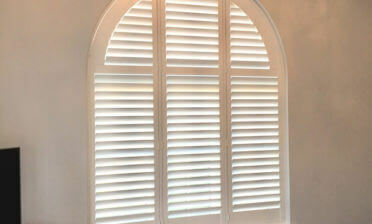 The door shutters were also created in full height but with a solid panel at the bottom to match. 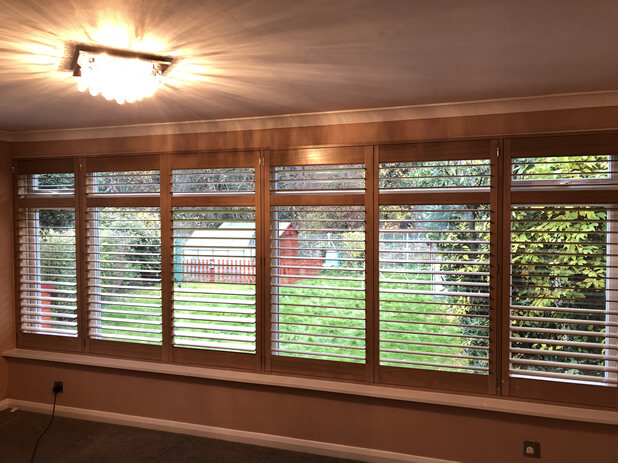 All shutters make use of a silent tilt rod system which allows for adjustment without the need of visible rods, creating a modern yet still traditional look for this garden room. 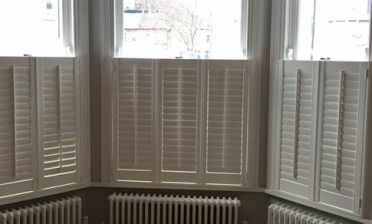 The shutters were finished off with some stainless steel hinges. 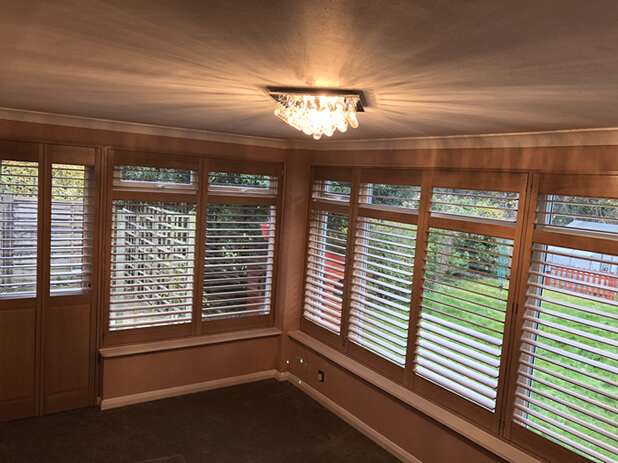 Our client Francesca was very happy with the end result and can look forward to enjoying her new shutters over the winter and summer!